Prime Build’s scope involved the demolition of existing structures, remediation of the contaminated site, the construction & fitout of a new retail store, minor tenancy and associated car parking. This project had a heavy focus on structures, including circa 200 screw piles, suspended slab to retail floor, precast panels to perimeter walls, structural steel, installation of two passenger lifts, dock leveller and major utility upgrades to the site. 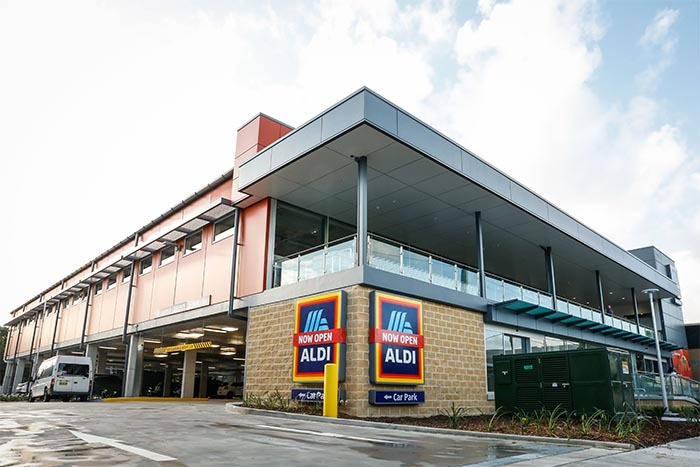 This project was completed in late February 2019, ready for ALDI to commence trade. Our client's brief on this project was to turn 3 old warehouse structures into a modern Medical Centre. This challenging project involved largely demolishing the existing structures, while maintaining the existing roof structure, installation of screw piles for new structure, new footings, new structural columns, precast concrete panels and installation of a variety of external claddings. Major upgrading and modifications to base services was also required, included installation of a electrical substation, new communications and drainage infrastructure and a full new mechanical system. External works consisted of new storm water drainage, kerbs, pavement to the car park, extensive landscaping and major upgrades of the existing council footpath. The project was successfully delivered over a four month period. 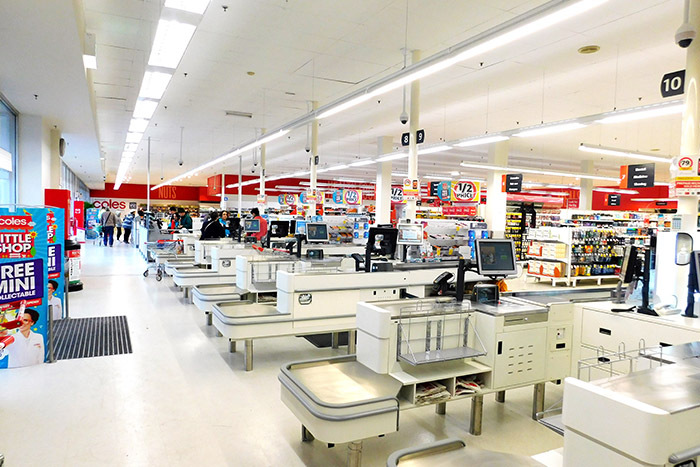 This Coles refurbishment in regional Victoria involved the complete rebuild of key departments including Bakery, Deli and Coles Online giving the store a fresh new modern look. 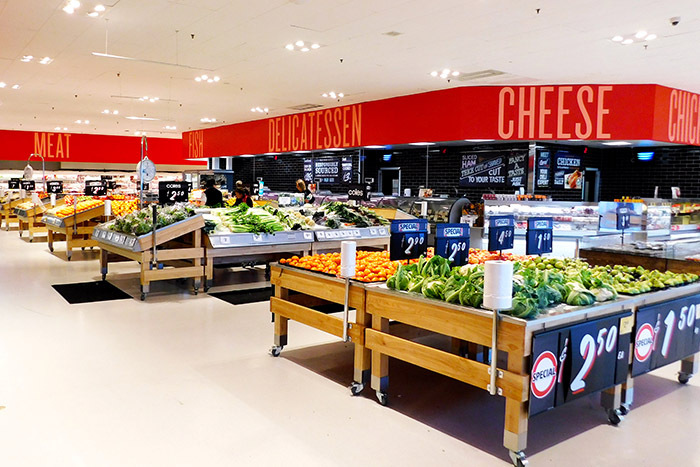 Other major works included all new refrigeration, 1500m2 of new flooring, new lighting to fresh produce and all new service desk and registers. The plant room systems were also relocated to the mezzanine level and new roof mounted air-conditioning units installed throughout the store. Le Pine Dandenong is seen as a flagship location for the InvoCare brand; one of Australia’s largest funeral home service providers. The redevelopment of the existing building saw three quarters of the structure demolished and an increase to the structure’s footprint. New function space, a chapel, consultation rooms and offices were built to allow InvoCare to operate all functions of the funeral process from the one location. The project was an exciting challenge for the team, with the structure of the building being held up by laminated glulam timber that was left exposed to add warmth throughout the finished building. The chapel had new 8 metre vaulted ceilings, with full-height glazing to the back of the chapel, allowing a flood of natural light throughout the space, as well as great viewing of the manicured landscaping throughout the back garden. InvoCare noted that this building will stand as an example for their business and we are proud to have delivered it alongside them. One of Australia’s largest liquor retailers approached Prime Build to fitout a brand new Liquorland in Shepparton, VIC. This project had many town planning challenges along with set deadlines for opening. In response to this Prime Build took on all planning responsibilities including acquiring a building permit in record time to ensure the store opened on time. The project was a success with no additional costs. 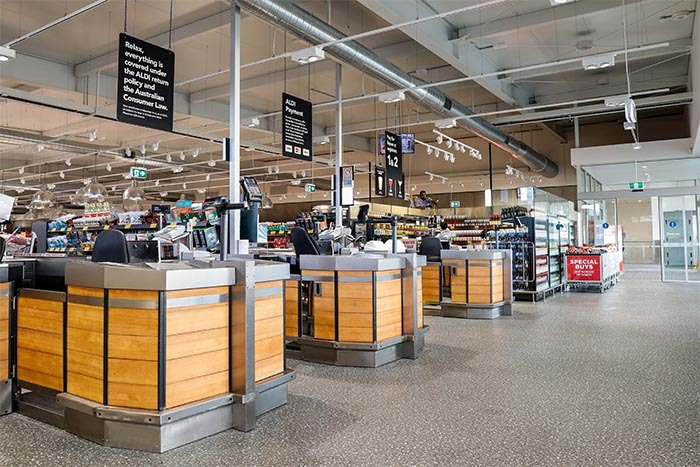 As part of a large roll out programme, the 9 day shutdown for the ALDI Menai store was especially unique due to its accelerated nature and demanding schedule of works. The upgrade works included a full refrigeration upgrade and a full internal refurbishment. As part of the upgrade, Prime Build demolished external features to make space for a new concrete slab, relocated underground services, installed new refrigeration units, operated a complex traffic management plan, managed crane lifts and completely reinstated the landscaping surrounding the store. 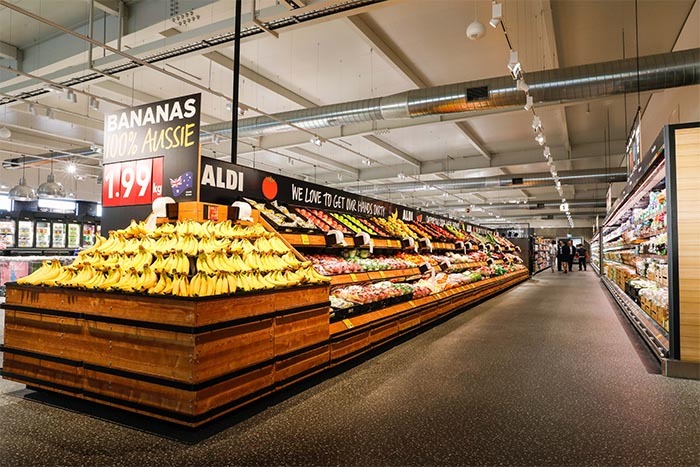 Prime Build had to plan precisely and execute e iciently to ensure the store’s full refrigeration and refurbishment upgrade were successfully delivered in the designated time frame.